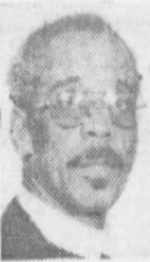 Chaplain William Paris was shot and killed while attempting to negotiate with a man at the Hotel Addison who had just shot a hotel manager and himself. The suspect agreed to talk with the unarmed chaplain, but as Chaplain Paris came into view the suspect opened fire, striking him in the head. The suspect then shot and wounded a tactical officer who was attempting to rescue Chaplain Paris. The suspect, a former mental patient, was shot and killed by a police sniper when he went to the roof and began firing at other officers. Chaplain Paris died of his injuries two days later. Chaplain Paris, pastor of the AME Zion Church, had served with the Detroit Police Department for two years. He was the first Detroit police chaplain slain in the line of duty. He was survived by his wife, son, and daughter.